WASHINGTON – The premium processing of applications for United States (US) H-1B visa in all categories resumes Monday January 28. The US made the announcement Friday after lifting the temporary suspension it had slapped on the visa process in August last year with the aim of clearing the backlog of applications for the work visas. The premium process allows US employer-applicants to seek fast-tracked assessment of their application within 15 days at a special fee. Although the process allows applicants to jump the queue by months, it only guarantees early decision but not the visa. 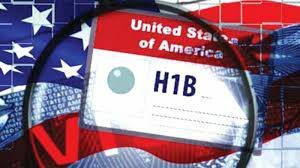 America grants 85,000 visas every year under the H-1B programme to allow US companies to hire foreign professionals for high skilled jobs where there is a shortage of local talent. The Trump administration is overhauling the programme to prevent alleged abuse.